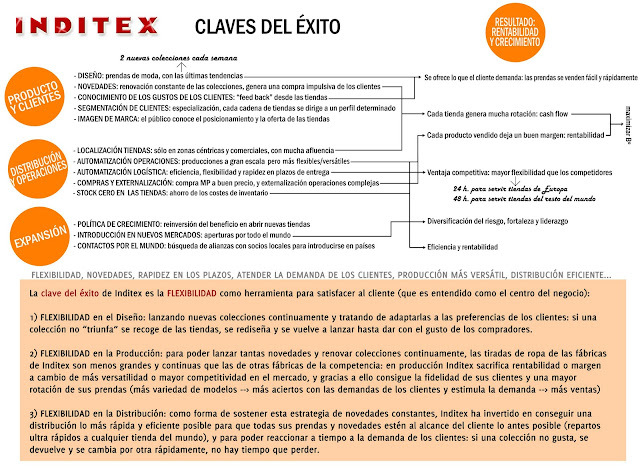 Inditex (Industria de Diseño Textil, S.A.) has become the world´s leader in the fashion industry. 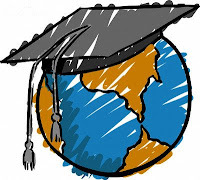 This company has fascinated experts in business and finance, and now it is a case studied in the main business schools all over the world. Its headquarters are in Arteixo - A Coruña (Spain), and its founder is Mr. Amancio Ortega Gaona, currently one of the world´s richest men, a businessman who knew as nobody how to reply the demand of consumers of fashion. The Galician firm has known how to change the operation of the traditional fashion industry, being more flexible than other competitors, converting challenges into opportunities, and supporting its processes over innovative technologies. As result of its strategy, Inditex hasn´t stopped to open new shops all over the world (at the present it has over 5,000 stores), and precisely this is one of the features that attracts the attention of experts in economics: its high growth rate since the company was born, or said it in another way: the incredible success of its business model. Its main shop chain, Zara, has become one of the most powerful brands in the world´s fashion industry, and each day million consumers go into one of its stores to buy or just to watch, because nowadays Zara means fashion, latest trends, what people dress now and what they will dress coming soon. In 1963 Amancio Ortega starts a little company called GOA that produces and sells several kinds of clothes. The sales of the firm grow slowly, and it opens new production centers to get more capacity and versatility. The company soon starts to export its clothes to the European market. In the beginning the company didn´t have own stores to sell its clothes: it was only a clothes wholesaler. But in 1975 its commercial strategy would change: GOA wanted to control the production, distribution and sale of its clothes, and the firm decided to make a vertical integration with the opening of its first store in a downtown street in A Coruña (Spain). This shop was a boutique that sold urban clothes for women, men and children at competitive prices. The name chosen for this first shop was "Zara". There is a legend that says the first name chosen by Amancio Ortega to call his boutique was "Zorba". But when he went to the brands office, this name was already registered, and Mr. Ortega, doing on the fly a letters play, decided to request a more simple word that wasn´t registered yet: "Zara", a word without meaning that is the random combination of four letters. The first shop starts selling lots of clothes, being the young clothes for students a real success, and the firm decided to promote this distribution channel for its products with the opening of more Zara shops. In 1976 it is constituted the company GOASAM as the owner of the Zara shops. In this way, the activities of the group were well differenciated: GOA was engaged to produce the clothes and manage the wholesaler sales, and GOASAM was engaged to sell the clothes through the Zara shops (the retailer market). 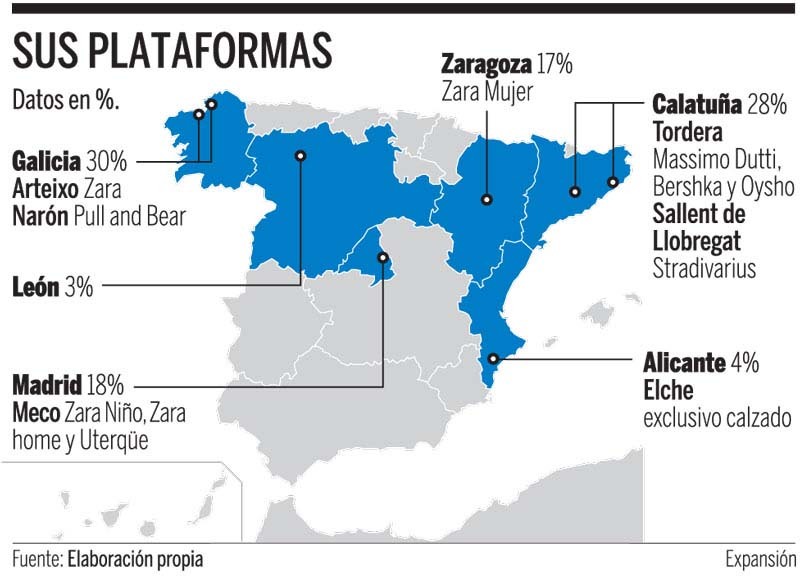 The first expansion plan included opening Zara stores in the main cities of Galicia (A Coruña, Vigo, Santiago, Ourense, Lugo...) and after this, in the rest of Spain (Madrid, Barcelona, Valencia, Sevilla, Bilbao, Zaragoza...). 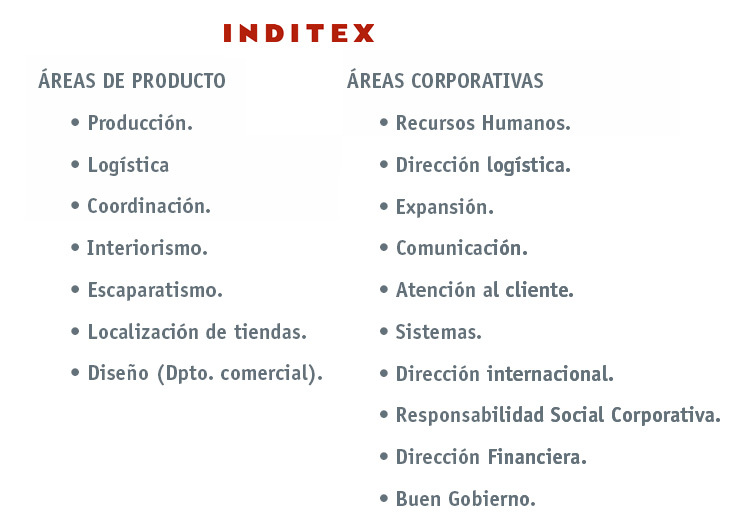 The stores chain grew rapidly, and in 1985 it is created Inditex as the head of the group of companies. One of the main features that makes spectacular and singular the Inditex case in the business world is the fast opening rate of its stores, and the growth of its sales. It seems more than a success story, an amazing and miraculous business: the hen that lays the golden eggs. Zara has hit exactly with the demands of the most public, attracting a large number of buyers in each store. And by this, each point of sale generates an important cash flow, that is reinvested to open new stores. With this growing strategy, the company has been having an high opening rate over 50% during last years. Along 1986 and 1987, the group installs a new and modern logistic system to be able to serve in time to all the new shops that are being opened. With this system the company would get ready to continue with its strong expansion plan. 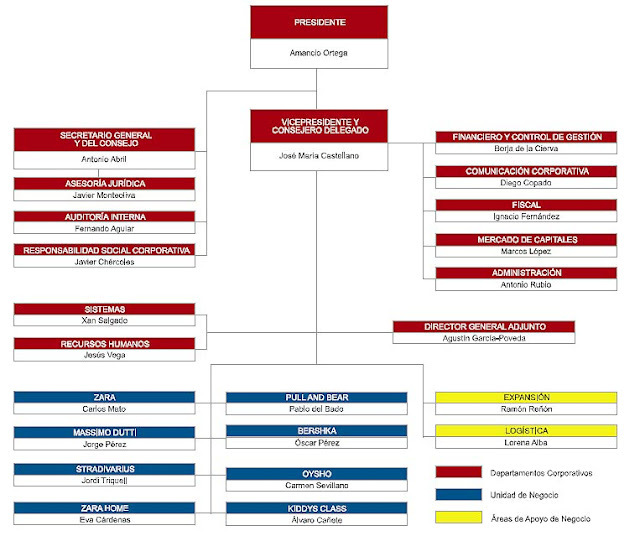 Amancio Ortega was associated with people who knew the automobile industry, and they innovated in the company processes applying its technology in the business operations: manufacturing, logistic, distribution... In fact, Inditex has one of the most modern systems to classify and send the clothes automatically to stores around the world, in a record time and more efficiently. This allows the company to be more competitive and flexible than most competitors. With its logistic system, Inditex is able to send clothes to its stores in Europe in less than 24 hours, and to the stores of the rest of the world in less than 48 hours. 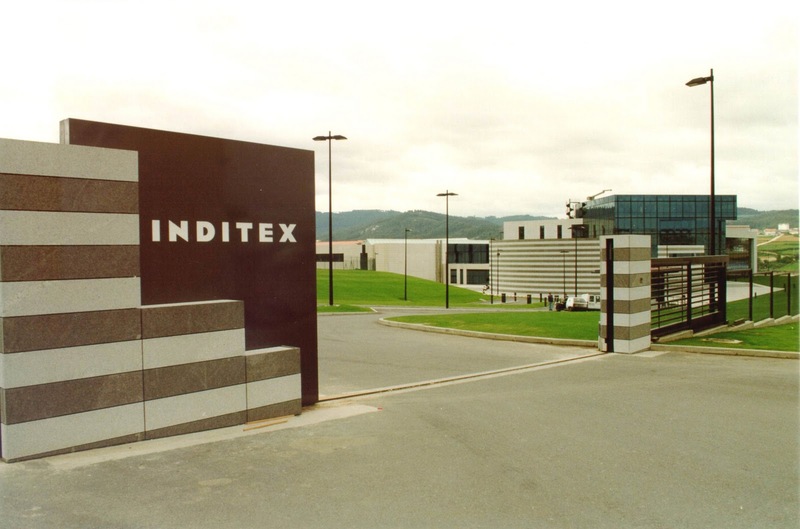 In 1988 Inditex opened its first shop abroad in Porto (Portugal). After this the company installed its Zara boutiques in New York in 1989 and Paris in 1990. 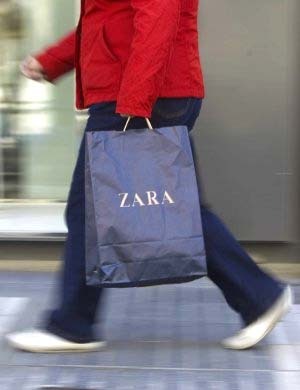 In the begining of 90´s, Zara´s growth was unstoppable, entering into new markets of the halfway of the world as Mexico, Greece, Belgium, Sweden, Malta and Cyprus. In 1991 the new expansion plan includes the creation of a new chain of stores, Pull & Bear, specialized in an urban and young male audience. Its logistic center was located in Narón-Ferrol(Spain), and several shops will be part of this chain soon. Furthermore Inditex started the purchase of Massimo Dutti, another chain of stores specialized in an older and more elegant male public. In 1991 the Galician company acquired 65% of Massimo Dutti, getting 100% in 1995. The headquarters and the logistic center of this chain are in Barcelona. In the same year it also created another chain, Kiddy´s Class, this time intended for the children segment. In 1998 a new chain intended to a young female public is opened under the name of Bershka. And in 1999 Inditex purchased Stradivarius, another chain that markets clothes for young and modern girls. With this acquisitions the total number of stores owned by the group grew exponentially. a) Arteixo and Narón in Galicia to distribute clothes of Zara and Pull&Bear. 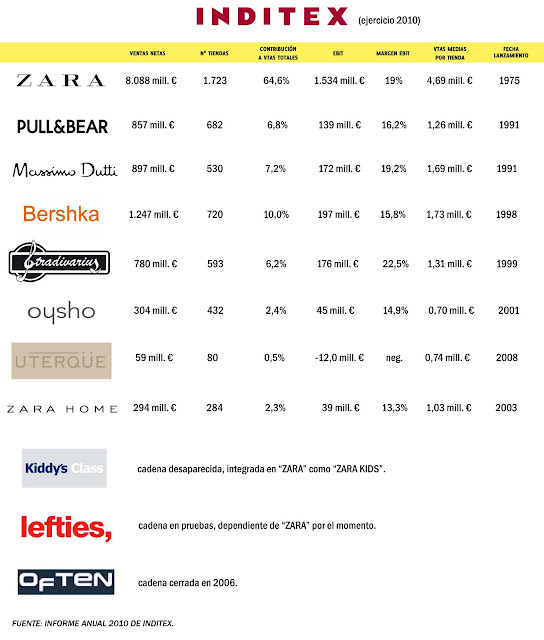 b) Tordera and Sallent de Llobregat in Catalonia to distribute clothes of Massimo Dutti, Bershka, Oysho and Stradivarius. c) Zaragoza for the woman clothes of Zara. d) Madrid for Zara Kids, Zara Home and Uterqüe. e) León for another clothes and brands. f) And it was acquired in Elche (Alicante) a shoes factory called Tempe that would be the supplier of all the shops of Inditex group. It is interesting to see in the previous graph the differences in profitability between the stores of Inditex: the average sales of a Zara store are 4,69 million euros a year. This shops are points of sale with a very high turnover, while stores as Oysho have sales about 700,000 euros of average. However, the chain that sells with a greater margin appears to be Stradivarius, because this brand has the highest EBIT margin, followed by Massimo Dutti and Zara. By the moment Uterqüe provides a negative return. 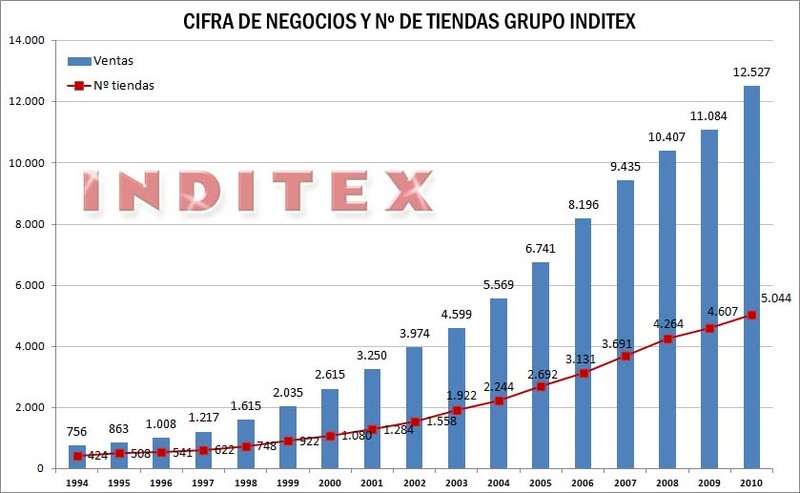 As it is posible to see, Inditex was growing with a diversifying politic: selling in new geographic markets, and creating or acquiring new fashion chains to get new public segments. All this strategy was sustained over the successful business model of its Zara stores. 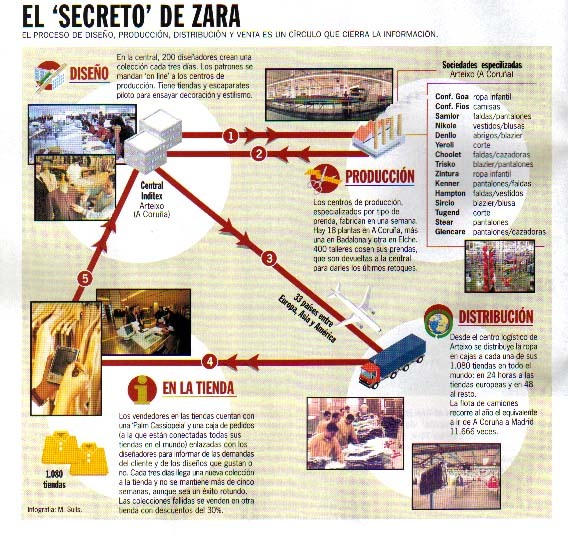 At the end of 90`s, many countries were included in the list of the target markets of Zara: Argentina, Japan, United Kingdom, Venezuela, Lebanon, UAE (Emiratos Árabes), Kuwait, Turkey, Holland, Germany, Poland, Saudi Arabia, Bahrein, Canada, Brazil, Chile and Uruguay. In the 2000, Inditex opens its new headquarters building in the industrial park of Sabón in Arteixo (A Coruña). During the beginnig of the new century, the company continues with its international expand, coming into new countries as Andorra, Austria, Denmark, Qatar, Italy, Luxembourg, Switzerland and many other. Thus the international sales have been growing against the Spanish sales, reaching a peak of 72% in 2010, when 5 years ago international sales didn´t reach the 50%. It is interesting to know deeper the international expansion strategy of Inditex, due to the fact that there are many countries in which its fashion markets are protected, and the entry of foreign companies is controlled and restricted. It is the case of Italy for example. To save this situation, Inditex was associated with local fashion companies, creating a subsidiary with the participation of both companies. 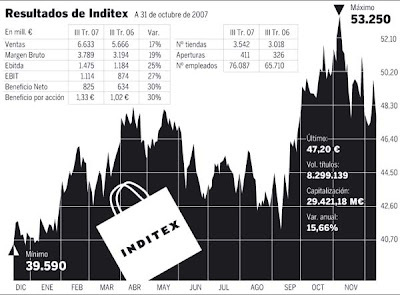 2001 was a very important year for the textile group: Inditex comes into the stock market offering the 26,09% of its capital through a Public Sale Offer (OPV). The objective was to attract minority shareholders that can provide capital to finance the company expansion. The experience was a success, and the demand exceeded supply by nearly 6 times. Inditex is a real success: it likes to customers and investors. But not absolutely everything went well for the Ortega´s company: fortunately it seems that Inditex is also human, and there have been projects that didn´t go quite right. This is the case of "Often", a new chain of clothes launched in 2003, and targeted to a male young public between 25 and 40 years that were looking for more "quiet" clothes than the Pull&Bear style. At the end, this chain was closed in 2006. 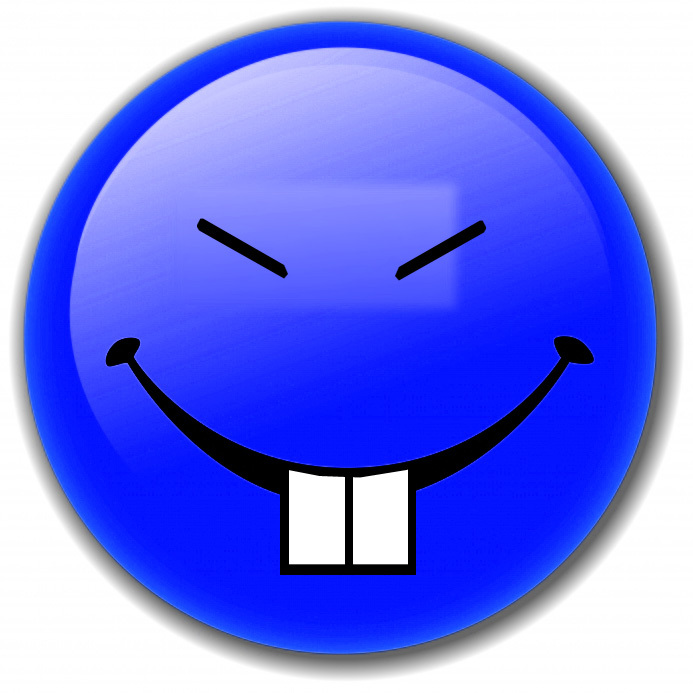 "Kiddy´s Class" also dissapeared as an independent chain, and was converted and repositioned in "Zara Kids". And "Leftie´s" is an outlet project for Zara´s clothes that is being testing at present. It seems that many times, the correct strategic decision is the result of learning by the methodology of trial and error, even for large companies. But in the business world the important is don´t be stopped, you have to try it and take decisions: this is the most difficult. At the present Inditex is one of the largest groups of fashion distribution in the world. It has more than 5,000 stores in 78 countries, more than 100,000 workers, and had a turnover of 12,527 million euros in 2010, a 13% more than last year. The company always says in its communications and reports that the customer is the center of the business. All the company areas are around the customer in its stores with an only one purpose: try to attend their demands in the better way, knowing their likes and adapting the collections to the requeriments of the people. In this way, all the functions are around the points of sale (the shops) supporting and collaborating them to get the satisfaction of the customers. 1st) CREATE THE COLLECTIONS. In the headquarters, more than 200 designers create a collection each 3 days. The patters are sended on-line to the production centers. The creations are designed with the information provided from the shops and the trend scouts of the company. 2nd) PRODUCE THE COLLECTIONS. 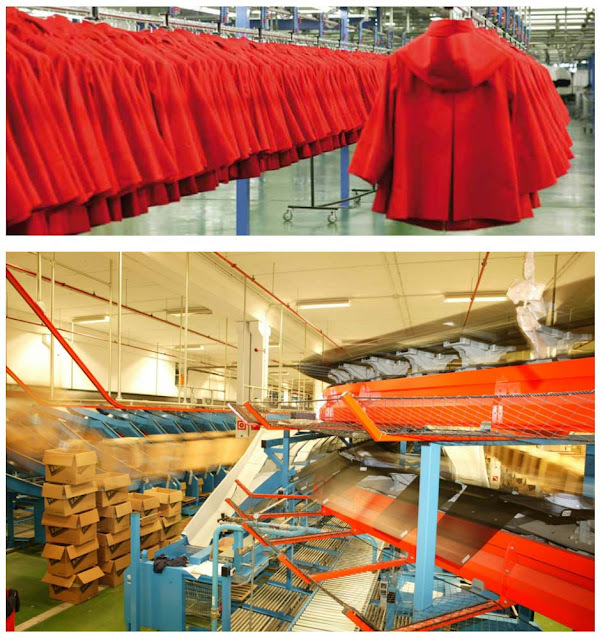 The production centers manufacture each kind of clothes in one week. They produce large lots of the same product to exploit economies of scale. The manufacturing plants are specialized by kind of clothing. 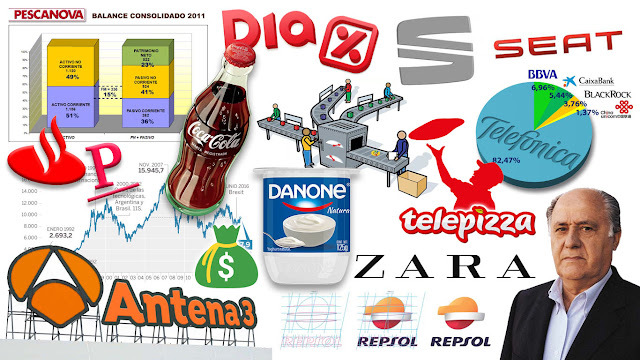 There are 18 factories in the province of A Coruña, another one in Badalona and another more in Elche. Furthermore the company subcontracts the hard works like sewing on buttons and zippers to more than 400 workshops located along Galicia. When the clothes are finished, they are returned to the headquarters to get ready them for its distribution. 3rd) DISTRIBUTE THE CLOTHING. The clothes are distributed in boxes from the logistic center of Arteixo to the shops located all over the world. In this logistic center there are the latest technologies to classify and send the clothes. 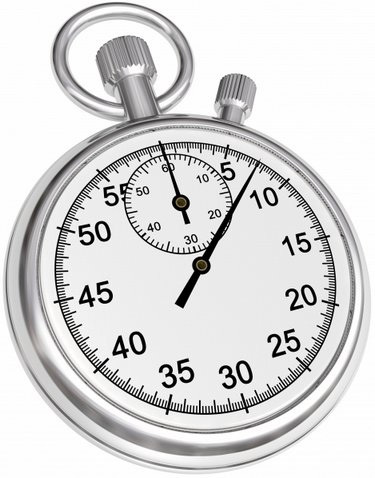 The company is able to send them to the european stores in less than 24 hours, and to the stores in the rest of the world in less than 48 hours. Inditex has an own fleet of trucks to do the distribution, and also uses shipments by air to arrive to the farthest countries. 4th) COMERCIALIZE THE CLOTHING IN THE STORES. In stores, the sellers have a PDA and a checkout connected with all the stores in the world and the headquarters, and with them they can transmit to the central (to the designers) the designs that people like and those that don´t like. Each 3 days, new designs arrive to the stores, but they will not be there more than 5 weeks, although they can be a success. The Inditex shops don´t store clothes: each shop only has the clothes that are exposed, the shops don´t have stored stock. Inditex has a zero inventory policy. The failed collections are sold in other shops (across the chain "Lefties" for example) with a discount of 30%. 5th) TRANSMIT INFORMATION TO THE CENTRAL. In this way it is closed the circle. The information is analyzed in the headquarters and the decisions are taken. And all start again. (1) Product Areas, that includes the functions that affect the product (Production, Logistic, Coordination, Interior, Window Dressing, Location of Shops and Design). These activities can be identified as those that add value to the business model, the key of the good performance of the company, and the source of competitive advantages: the heart of the business. 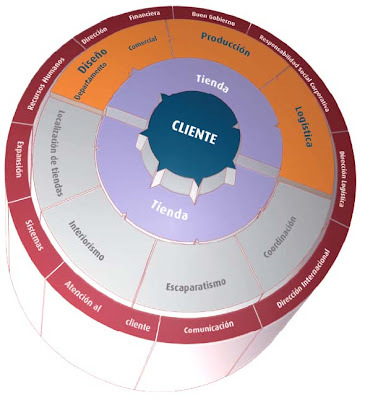 (2) Corporative Areas, in where it is included the support functions that back up the Product Areas to make the business work well and grow (Human Resources, Logistic Direction, Expansion, Communication, Customer Care, Systems, Internation Management, Corporate Social Responsability, Financial Management and Good Governance). 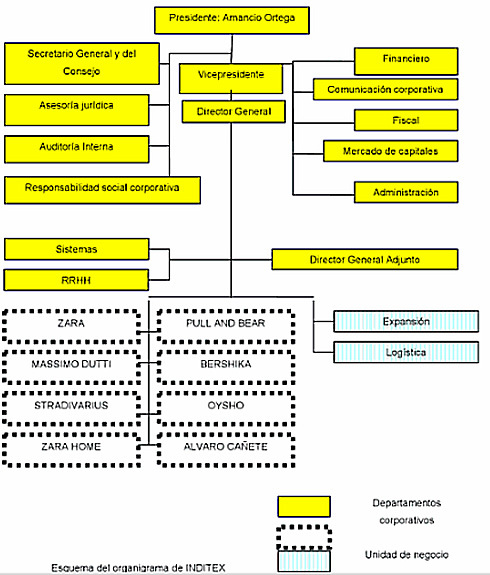 Below you can see the chart of Inditex: from the Board of Directors (consejo de administración) there is a General Secretary of the Board, a President (Amancio Ortega), a Vice-president and a General Manager. Last January (2011) Amancio Ortega gave the Presidency to Pablo Isla, who was so far this moment the Vice-president and Delegate Counselor CEO. 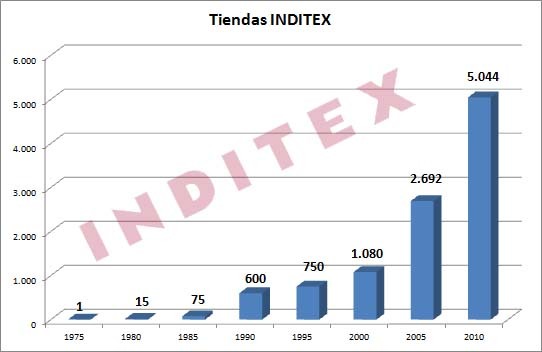 As we have said earlier, Inditex growth is spectacular. 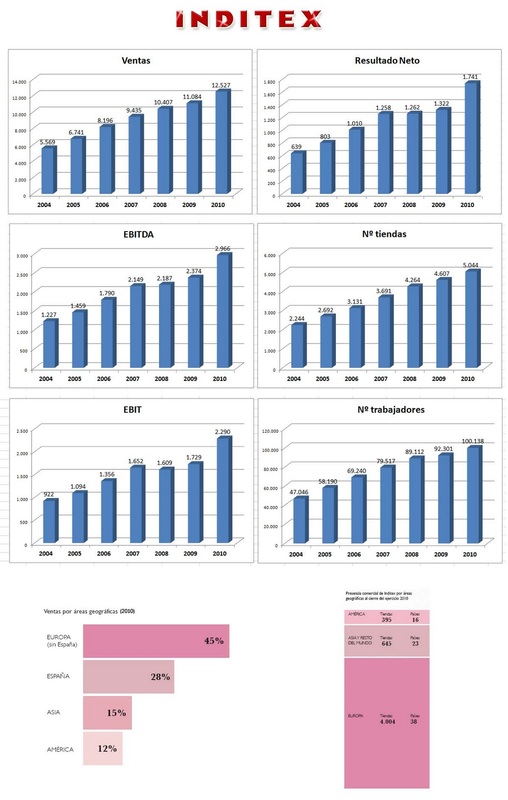 Below you can see graphs about the economic performance of the company. The Spanish company has an high profitability: it knows how to obtain a good margin in each article of clothing, and it is able to obtain an high rotation in each store. In 2010 the group net result was 1,741 million euros. Furthermore, the financial situation of the company is very good: year after year its balance is very good. Inditex is a little debt company and it has a good level of working capital as happens in the hypermarkets case. It is a very profitable and solvent company. The company launches new collections constantly throughout the year. It has a constant renewal: they design a new collection each 3 days in front of the 2 collections a year (Spring and Autumn) that are designed by traditional manufacturers. The real value of the Zara clothing is its design and developments (renewals): they are always fashionable. Technically it is medium quality clothes, but Zara has known how to take advantage of changes in consumer demand for clothing: years ago consumers were looking for durable clothing. But today the fashion is ephemeral. People demand clothes to wear during weeks, months, or one or two years at most. After this time these clothes won´t be fashionable, and people will need to buy another more. By this, at the present the important feature is to be fashionable, while a few years ago it was to be of high quality. Thus Inditex invests to have a large and great group of designers, to know better the requests of their customers in its stores, and to capture new trends all over the world. The Zara shops sellers all around the world have direct contact with the designers located in the central facilities in Arteixo. They tell the designers the demands of the customers across a computer system: which designs have liked and which that haven´t liked. In this way Inditex can adapt its clothes to the customers demand. Inditex has trends sensors in the places where the fashion trends are setted (New York, Tokyo, London, Paris, etc.) to inspire its collections and to know what is going to be wear. This trends sensors observe the clothing that wear the young people, what they like to dress, the fashion parades... And they also go into competitors shops and first brands boutiques to look its designs and inspire themselves. In fact, Inditex has been accused to copy. But actually it is a full analysis about customers, competitors and market, a very good work since the Marketing point of view. Specialized plants produce the clothes by type. Each design is produced in large lots to exploit the economies of scale. 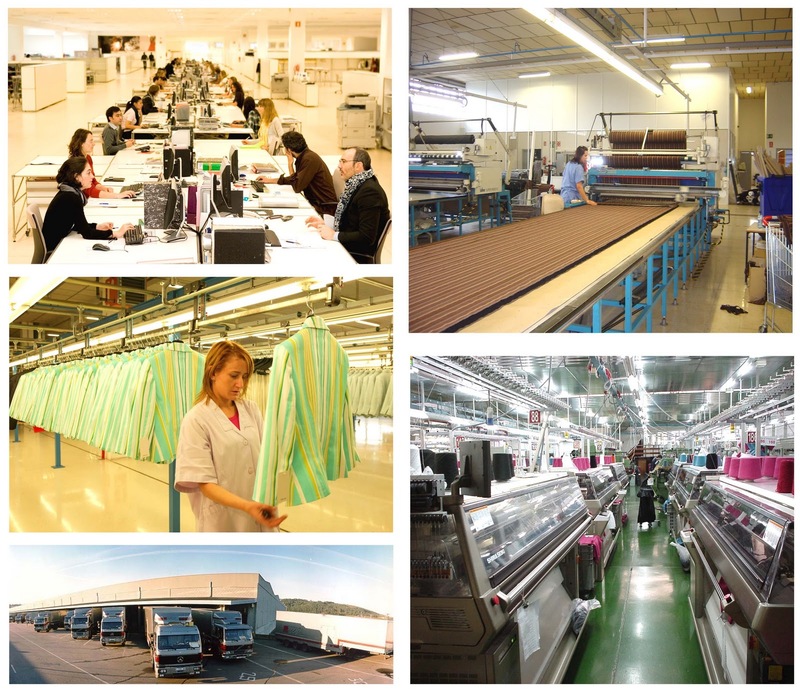 However, Inditex factories produce more varieties of clothing than other plants of the competitors: they have more versatility to produce several kinds on the same day, while other brands manufacture very few diferent kinds of clothes. 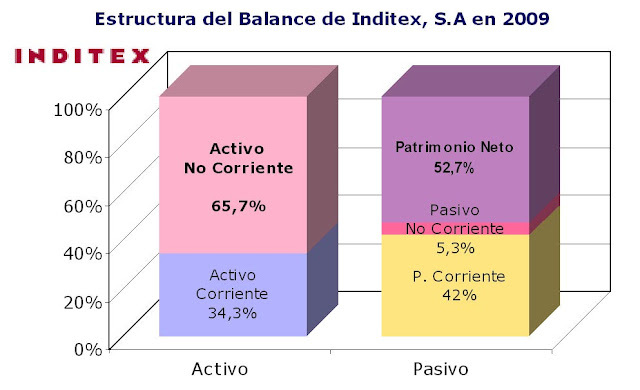 In this way, Inditex loses some margin or profiability in its productions (because they are a little smaller), but gain flexibility and competitiveness (because they are more variety), being able to adapt better to the customers demand. Flexibility in Design, Production and Distribution is a real key of its success. On the other hand, the company also outsources the most complicated works to nearby workshops. The company is very fast doing the distribution of its clothes because it has an automated logistic system. With its designers team, Inditex is able to launch a lot of desings very fast, and with its logistic system it is able to distribuite them all over the world in a few time with a low cost. The shops have to generate rotation. So they are only located in the best areas of the cities. 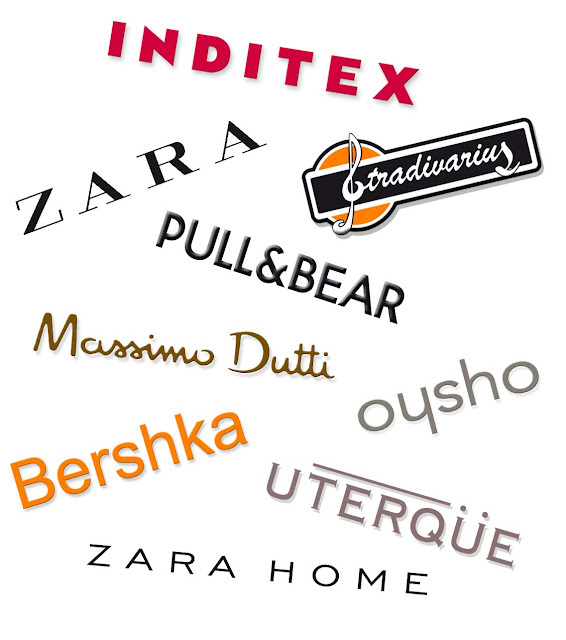 There are several salient names related with the success of Inditex. 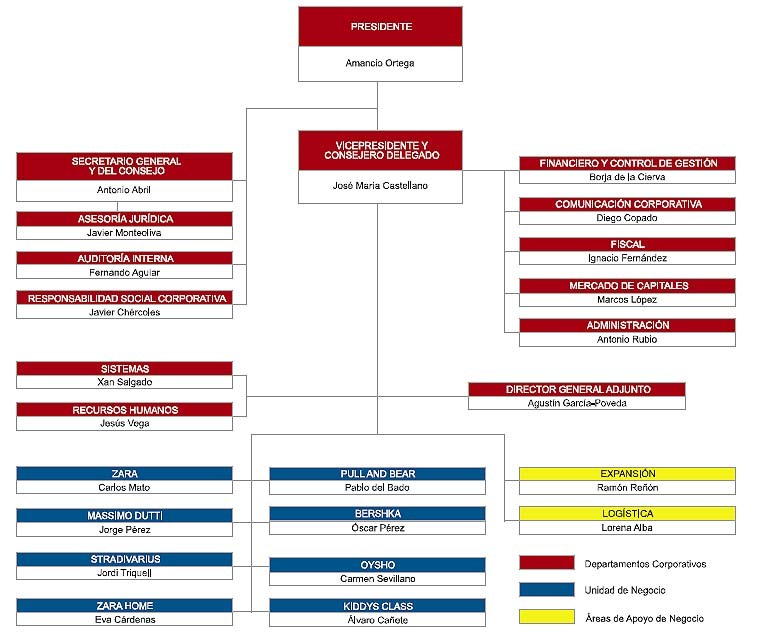 They are the owners, businessmen and businesswomen, managers and workers of the company that became it in a big empire. Gran parte del éxito de muchos negocios puede explicarse en cierta medida por su caracter innovador: un nuevo producto, una nueva forma de venderlo o distribuirlo, una forma más barata y eficiente de fabricarlo, etc. Cada empresa es única, tiene una manera diferente a las demás de fabricar un mismo producto, de presentarlo ante el cliente, de comercializarlo, etc., y la innovación es una herramienta que puede ayudar a la consolidación y al crecimiento de una empresa, así como a hacerse con una mayor cuota de mercado y superar a sus competidores. La innovación es tan importante que puede suponer la diferencia entre el triunfo y el fracaso de un negocio: aplicar una innovación en el momento adecuado (y no cuando ya sea tarde) puede hacer que las ventas de una empresa se catapulten, mientras que no hacerlo podría suponer la agonía de un negocio, o bien que la competencia nos supere y pueda acabar con nosotros. Por tanto, se trata de una decisión estratégica de vital importancia y repercusiones, y que hay que tomar sin dilación en el momento adecuado. De hecho, una gran parte de las grandes empresas de éxito no serían lo que son sino fuera por haber aplicado algún tipo de innovación en su momento. La innovación puede adoptar mil formas: puede ser de tipo tecnológico (una mejora en el proceso productivo que lo haga más productivo, más rentable, reduzca costes, etc. ), de tipo comercial (un desarrollo o un nuevo producto que nos permita ser más competitivos ante los clientes), aplicada a los procesos de la empresa (producción, administrativos, comerciales, de distribución, etc. ), aplicada a los productos, etc. 1) Es una fuente de ventajas competitivas: fabricar más barato y eficiente, comercializar productos más atractivos y vendibles, utilizar nuevos canales de distribución más cómodos y/o cercanos para el cliente, mejorar la eficiencia a nivel administrativo, mejorar la logística, incrementar la capacidad productiva, etc., en definitiva ser mejor que la competencia. 2) Es un factor diferenciador de nuestro negocio: una forma de hacerse con una mayor cuota de mercado es innovando, diferenciando nuestra oferta de los competidores, haciéndola única, genuina y a poder ser, inimitable. 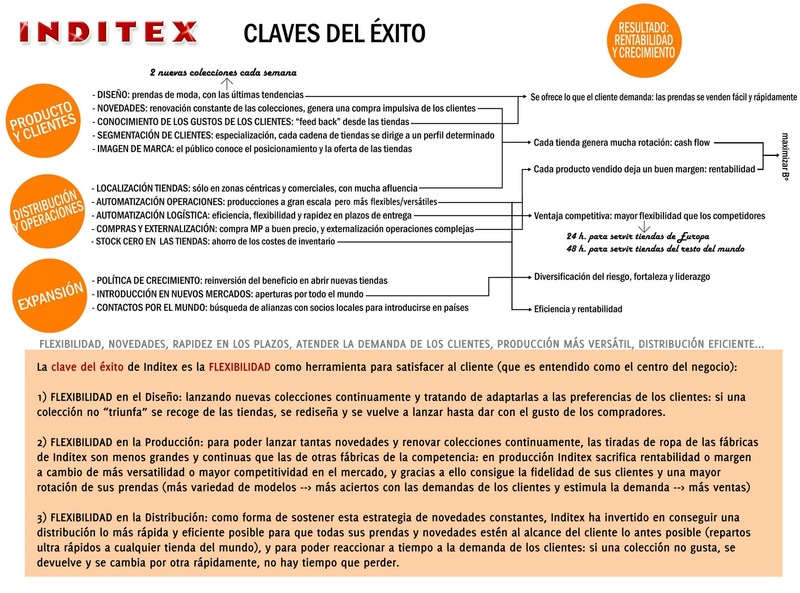 3) Juega un papel clave en el éxito y consolidación de muchos negocios. 4) Muchas veces (sobre todo en el caso de innovaciones de tipo tecnológico) suele requerir elevadas inversiones; sin embargo, también suelen existir subvenciones y ayudas públicas para fomentar este tipo de inversión (depende muchas veces de cómo se le presente a la administación: hay que saber venderse). 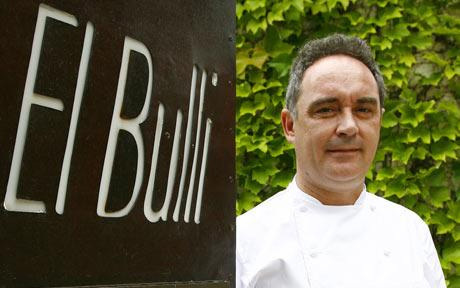 El famoso restaurante de Ferrán Adriá se ha convertido en una referencia a nivel mundial sobre todo por su caracter innovador: la concepción de sus platos nunca antes se había visto en el mundo de la cocina: raviolis gelatinosos y de colores, tartas de cumpleaños desplegables, platos con nitrógeno líquido, alimentos envasados al vacío y condensados con diferentes formas y colores, etc. Unos productos innovadores, y una forma de presentarlos única que se ha conseguido gracias a la labor investigadora y creativa del equipo del restaurante: viajes por todo el mundo, búsqueda de nuevos ingredientes, sabores y texturas, pruebas, empleo de ingredientes, técnicas y maquinaria ajena al sector de la cocina tradicional, desarrollo de nuevas técnicas de elaboración y presentación de los platos, etc. El caracter innovador de El Bulli puede observarse sobre todo en el empleo de ingredientes y técnicas de fabricación ajenas al sector de la cocina: por ejemplo el uso de calcio -adquirido en droguerías- para solidificar algunos platos, el empleo de hierbas y plantas aromáticas no utilizadas hasta el momento, la utilización de globos rellenos de aroma para "ambientar" el plato que va a ser degustado por el cliente, el empleo de la ya famosa técnica del nitrógeno líquido, compra de maquinaria de otros sectores para la elaboración de recetas nunca vistas (máquina para liofilizar, envasadora al vacío, etc.). Es decir, El Bulli ha empleado tecnología de otros sectores aplicada a la cocina para la creación de innovadores platos. Ha innovado en procesos y productos, dando como resultado algo nunca visto hasta el momento en el sector de la cocina, catapultando al restaurante a nivel internacional. Una enorme parte del éxito de Inditex se debe precisamente a la innovación: Zara se introdujo hábilmente en el mercado con reglas de juego completamente diferentes a las de sus competidores. Lo que para la mayoría de empresas de confección suponía un problema (los cambios de moda), Zara lo transformó en una oportunidad: conseguir cambios de colecciones y moda de manera continua. Mientras que el resto de competidores se basaban en dos colecciones al año (primavera y otoño), esto para Zara no existía, y a lo largo de todo el año diseñaba y lanzaba continuamente prendas a la última moda, colecciones "vivas" que incluían las últimas tendencias, consiguiendo evolucionar casi a la misma velocidad con la que los clientes cambiaban sus gustos. Pero la innovación de Inditex no solo está en sus productos, sino que la eficiencia y la automatización de sus procesos de producción, logística y distribución resultan también innovadores. Amancio Ortega supo aliarse con gente conocedora del sector del automóvil, y aplicar esa tecnología al servicio de la industria textil. El resultado: fábricas y centros logísticos con una enorme capacidad y que operan con la mayor eficiencia del mundo. 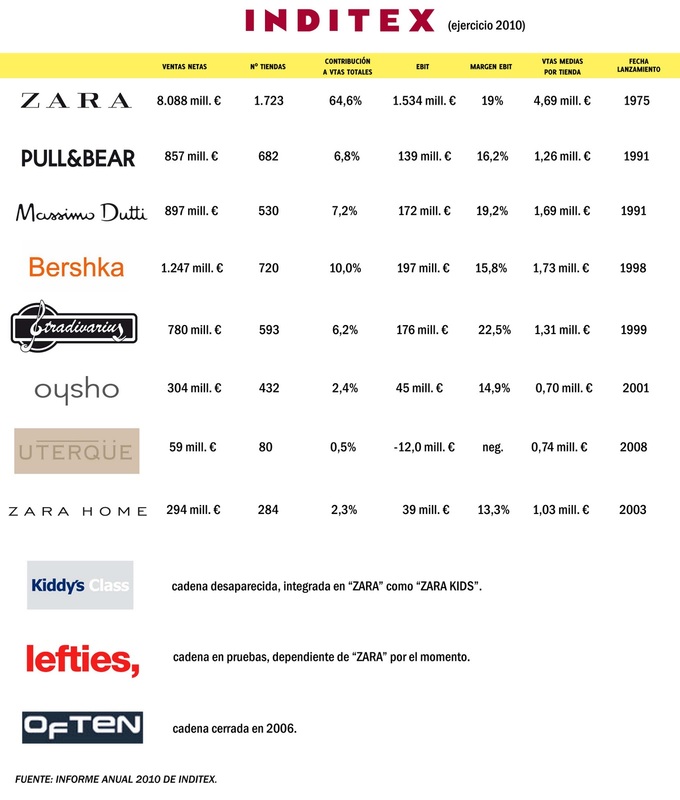 Funcionar con una política de "stock cero" es otra de las innovaciones en procesos introducidas en el mundo textil por Inditex: lo que hay en los estantes de las tiendas de Zara es lo que hay: no se almacenan ni se guardan prendas. El feedback con el cliente o los cazadores de tendencias por todo el mundo son otras innovaciones introducidas en el sector por Inditex. Supieron innovar en el momento adecuado: implantar en España un nuevo concepto de restaurante (una pizzería rápida, tipo delivery, y con servicio a domicilio) ya conocido y con un funcionamiento exitoso en países como EE.UU. Hasta ese momento no existía en España una cadena de pizzerías que sirviese las pizzas en moto a domicilio. Se trataba de introducir en nuestra cultura culinaria una innovación en el formato de pizzerías. 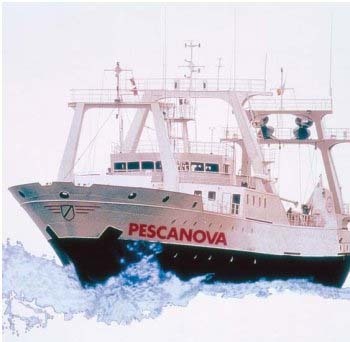 Otro ejemplo de liderazgo gracias a la innovación en procesos: Pescanova fue la primera empresa en desarrollar el procesamiento y la congelación del pescado a bordo de los propios buques. Es decir, crear buques-factoría que procesarían a bordo las capturas recién pescadas. Con esta innovación el ahorro y la rentabilidad conseguidas se hacen evidentes: ser capaces de llegar a puerto con el pescado ya procesado y prácticamente listo para la venta, ahorrarse la inversión y los costes (alquiler, mano de obra, amortizaciones, etc.) de tener que poner en marcha a mayores una factoría en tierra para procesar las capturas, ahorro de tiempo, etc. 5) Otros ejemplos de empresas innovadoras: El Circo del Sol, Ikea, Amazon.com... y un larguísimo etcétera de grandes empresas que han llegado a ser lo que son gracias a la innovación. ¿Cómo es posible que Japón, siendo un país relativamente pequeño y sin recursos naturales, haya podido llegar a ser una gran potencia mundial? Japón es un país sin petróleo, sin grandes extensiones, sin materias primas destacables, ubicado en un rincón del mundo... Sin embargo, es una potencia mucho más desarrollada que la mayoría de los países que cuentan con una gran cantidad de recursos naturales y fuentes de riqueza. ¿Cómo es posible? 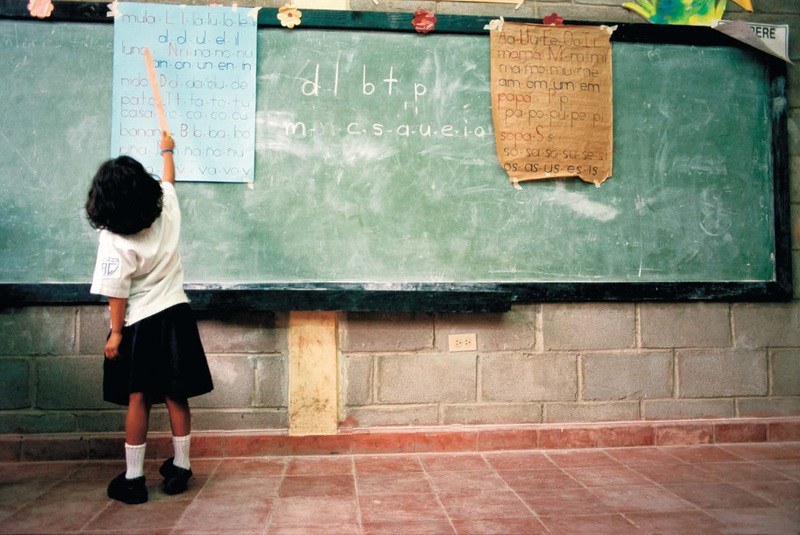 Simplemente por la educación de su gente. Toda esta reflexión está extraída de una conferencia impartida por un empresario mexicano de padres japoneses, el cual explica los motivos por los que Japón ha llegado a ser una de las mayores potencias mundiales, y cómo esta evolución empieza en cada uno de nosotros, con nuestra forma de ser y de actuar individual y colectivamente. 1) Buen ser: sé puntual, sé disciplinado, sé honesto, sé trabajador, sé estudioso... Intenta ser cada día mejor. 2) Bien hacer: todo lo que hagas, hazlo bien desde el principio. Pon todos los medios a tu alcance para hacer las cosas lo mejor posible. Cada día intentar hacer las cosas mejor. 3) Bien estar: las personas que dan más de lo que reciben (a sus hijos, a su familia, a la sociedad,..) sienten este tercer paso, que es sinónimo de felicidad. Dar lo mejor de uno mismo todos los días hace sentir el bienestar. 4) Bien tener: los que han conseguido dar los 3 pasos anteriores llegan al "bien tener": no se puede conseguir tener rápido y fácil sin haberlo hecho bien ni sin sentirse bien. Hace falta dar educación de valores, no solo de conocimientos: por ejemplo en los institutos japoneses son los propios alumnos los que limpian sus instalaciones, se les enseña a ahorrar agua, a mantenerlo todo limpio, etc. Sin embargo, habitualmente en las escuelas occidentales usamos como castigo para los chicos el recoger la basura y ponerlos a limpiar. Esto hace que los chicos asocien el hecho de recoger basura o la limpieza con un castigo, y que cuando sean mayores lo consideren como algo rechazable, indigno o propio de gente que merece ser castigada. Y como consecuencia, así están nuestras calles, nuestros ríos, nuestros bosques, etc., cuando la actitud más noble del ser humano es la limpieza. En las escuelas japonesas no existen limpiadores externos: desde pequeñitos a los propios ninños se les enseña a mantener limpias y ordenadas las instalaciones de su escuela, cultivando e inculcando los valores de la limpieza y el orden. Depende de cada uno de nosotros si las horas de vida que tenemos las decidimos gastar o invertir (trabajar, leer, estudiar, mejorar…). 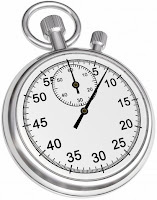 La vida es muy sabia, y acaba premiando a aquellos individuos que han sabido invertir su tiempo; pero también es muy cruel, y acaba cobrando altos intereses a aquellos que solo se han dedicado a gastar su tiempo. Cada uno de nosotros debemos hacer la evolución interna hacia el "dar más de lo que nos merecemos". El que cumple con sus obligaciones y da más de lo que debe, convierte a su mundo en un paraíso; el que solo pide y solo exige, convierte a su mundo en un infierno. Hay que estar siempre en condiciones de dar. Hay que educar a la gente con la meta de querer ser extraordinarios, y no vivir en una forma ordinaria o mediocre. Un país se convierte en potencia en el momento en que sus ciudadanos están dispuestos a dar un extra, a trabajar de forma extraordinaria y no ordinaria. ¿Por qué las empresas japonesas han llegado a ser tan grandes? A base del trabajo y la reinversión de beneficios. Los 3 primeros años los empresarios japoneses trabajan las 24 horas al día para que el "bebé empresa" crezca lo más sano posible. Tras el cuarto año, se trata de formarse, mejorar, especializarse. Y hasta los 20 años, los empresarios japoneses no le sacan un solo rendimiento a la empresa: todo es inversión tras inversión. El trabajo, el esfuerzo, la mejora continua y la reinversión son los pilares de las grandes multinacionales japonesas. Hay que dar ejemplo: los directivos deben dar ejemplo a sus empleados. El buen directivo/empresario debe ser siempre el ejemplo a seguir: el primero en llegar y el último en irse: el ejemplo arrastra, es lo que causa disciplina, es lo que causa admiración.